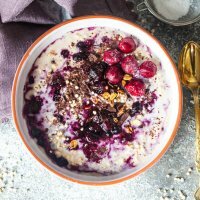 A lovely dish of Sour Cherry Overnight Oats is a great vegan breakfast! It may be the last cold day of this spring today, as it should finally get sunny and warm! I am excited about it! I love summer, the long days, gentle evenings and spending the days outdoor! 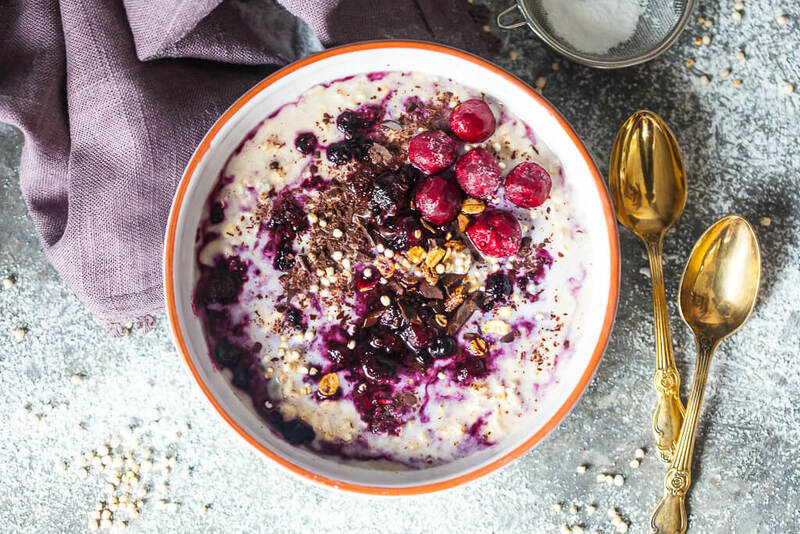 So while we’re talking warm bowls of oatmeal, how about this colorful Sour Cherry Overnight Oats bowl? It’s totally vegan, but as always – you can use dairy or non-dairy milk of your choice! I like to make the oats overnight, so they’re ready to go in the morning, but on a morning like this, I like to warm it up just a bit before eating. Nothing like a fridge-cold breakfast on an empty stomach on a cold day to keep you cold for the rest of the day. Or is that just me? 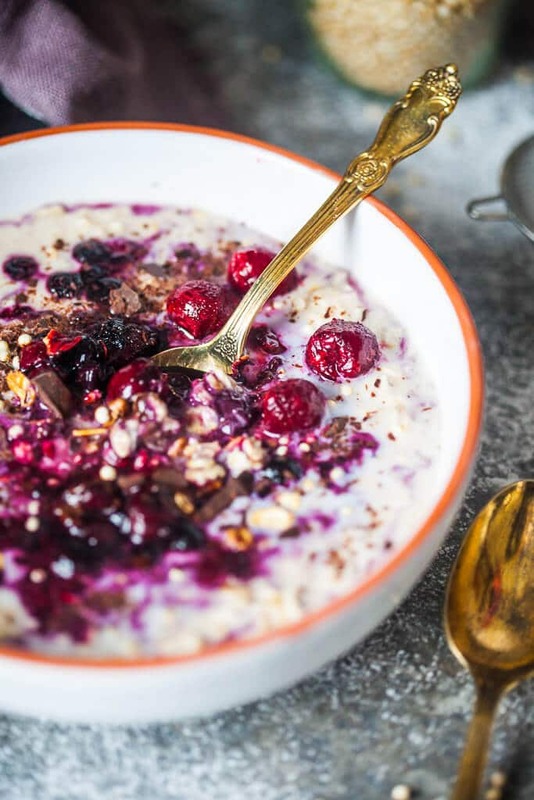 How do you eat your oats? Soaked overnight, cooked or slightly warmed? 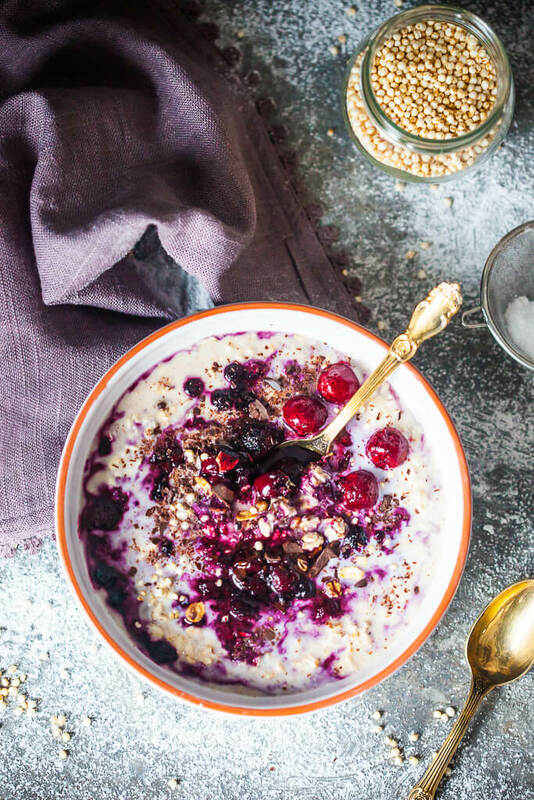 A lovely dish of Sour Cherry Overnight Oats is a great vegan breakfast. Just minutes to make! I have a huge store of sour cherries in my freezer and never know what to do with them! I am so excited to try them in this recipe. 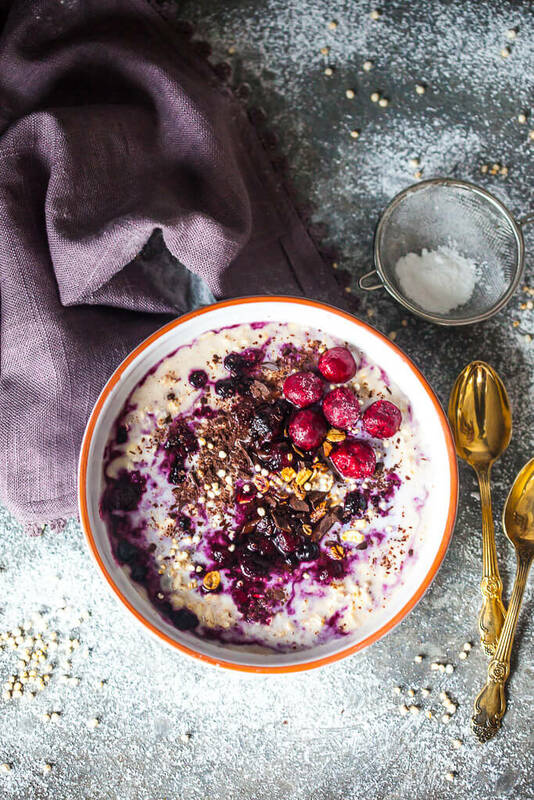 Love the straightforward and healthy ingredients and your photos are GORGEOUS! Thank you, Laurel! I like foods with simple ingredients and I too had a stash of frozen sour cherries waiting to be used 🙂 I would also recommend trying them in a sponge cake… I’ll have a similar recipe (but with strawberries) up in the upcoming days. Not only are these photos absolutely gorgeous, but this looks so delicious! I can’t wait to give it a try.